mulch2you is your source for coloured garden mulch in the Niagara region. Have your black, brown, red or natural mulch delivered to your house, or pick it up. 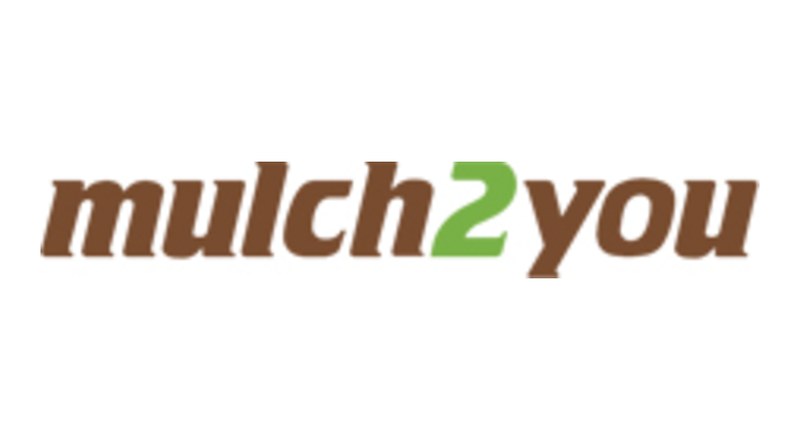 mulch2you offers homeowners an environmentally-friendly & cost-effective alternative to traditional mulch for their gardens. The product is made using clean recycled wood materials. And it's priced at just $39.82 per cubic yard + HST which is generally $10 less than traditional cedar or bark mulch products. In addition to it being less expensive up front, you can also expect to get a longer life from mulch2you's product. Typical mulch needs to be applied every year. mulch2you recommends that you put down our mulch once every two years because of our superior, longer-lasting, UV-resistant colouring. If you need to store coloured mulch on concrete or other finished surfaces, be sure to lay a tarp down first. This will help avoid discolouration. If colourant gets onto concrete or other finished surfaces, use a pressure washer immediately to clean it off. Make sure the coloured mulch is spread evenly and to a depth of 2-4 inches. Avoid exposing coloured mulch to rain or sprinklers for 24 to 48 hours. If rain does fall before the mulch can dry, rake it to maximize the surface colour intensity.